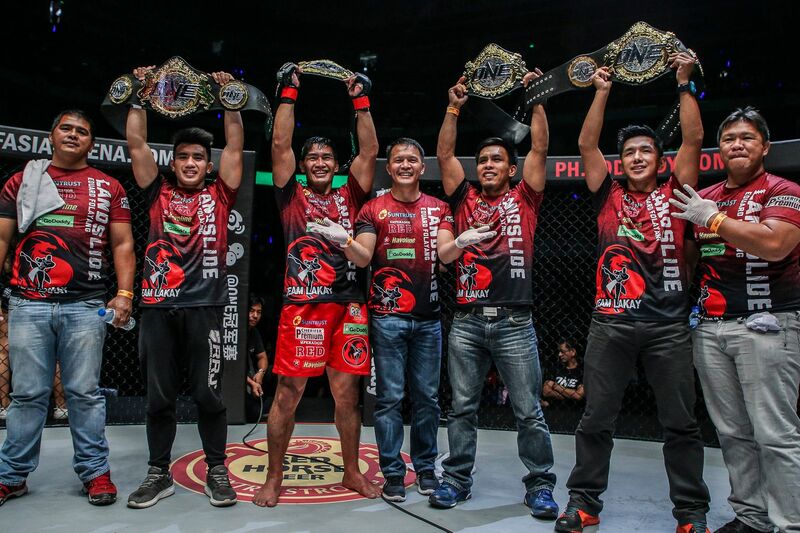 Eduard “Landslide” Folayang is once again the ONE Lightweight World Champion. 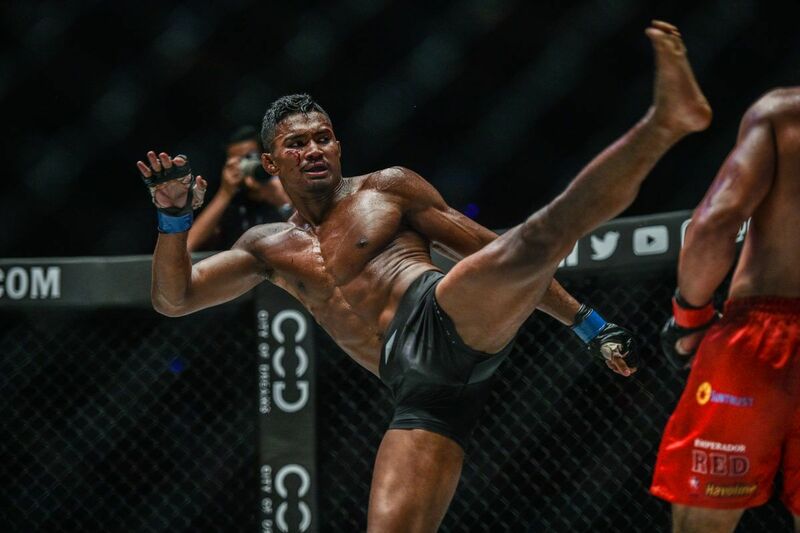 In front of a raucous home crowd in Manila, Philippines, he defeated Singapore’s Amir Khan via unanimous decision in the co-main event of ONE: CONQUEST OF CHAMPIONS to reclaim the vacant belt. On Friday, 23 November, the Baguio City accomplished his mission to reclaim the crown he lost a year ago at the Mall Of Asia Arena – and he did it in spectacular fashion in the same venue. 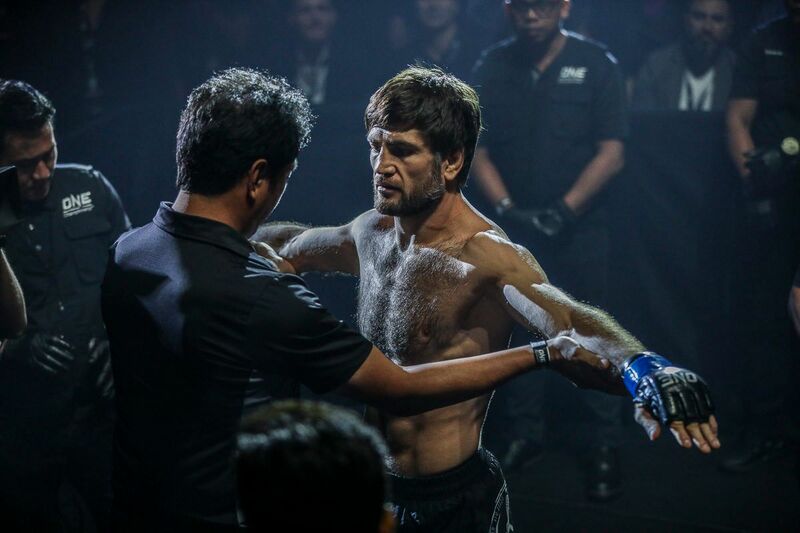 Eduard Folayang puts on a stellar striking display against Amir Khan, clinching a unanimous decision victory and reclaiming the ONE Lightweight World Title! 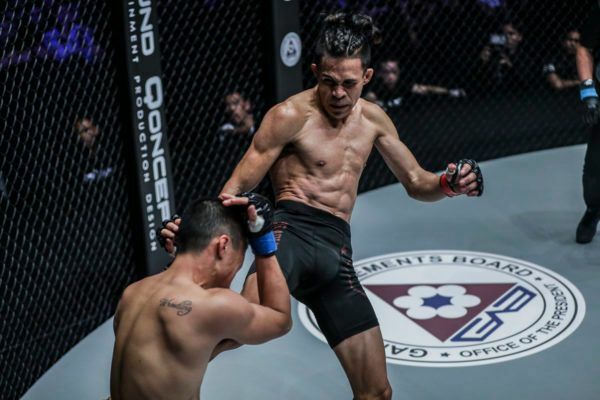 The action was fast and furious from the start, as Folayang looked to employ his signature wushu attack and a series of kicks flew at Khan in the opening stanza. 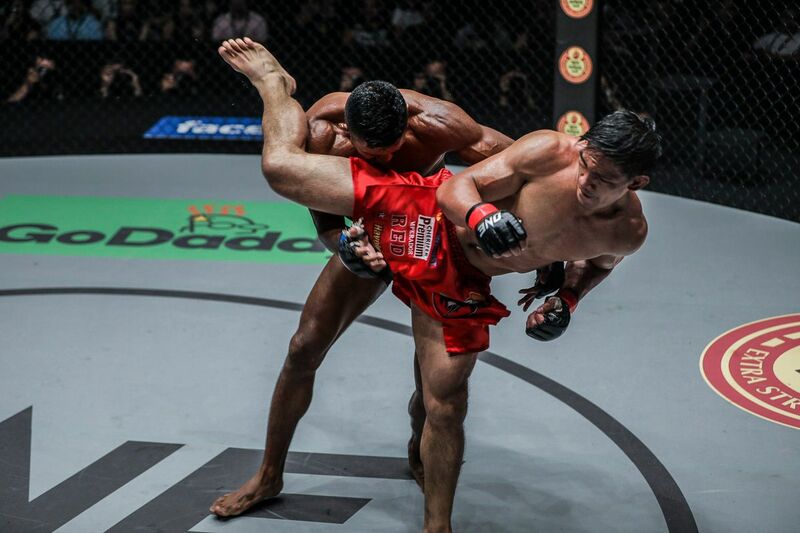 However, the Singaporean was prepared and countered every low kick with a punch at the local hero’s jaw. It was a back-and-forth on the feet as the Team Lakay stalwart tried to find space to work his explosive long-range strikes. In response, the Evolve representative did a good job of using his reach and fired off a series of straight punches. Despite his efforts, he struggled to defend the kicks that came from his rival. 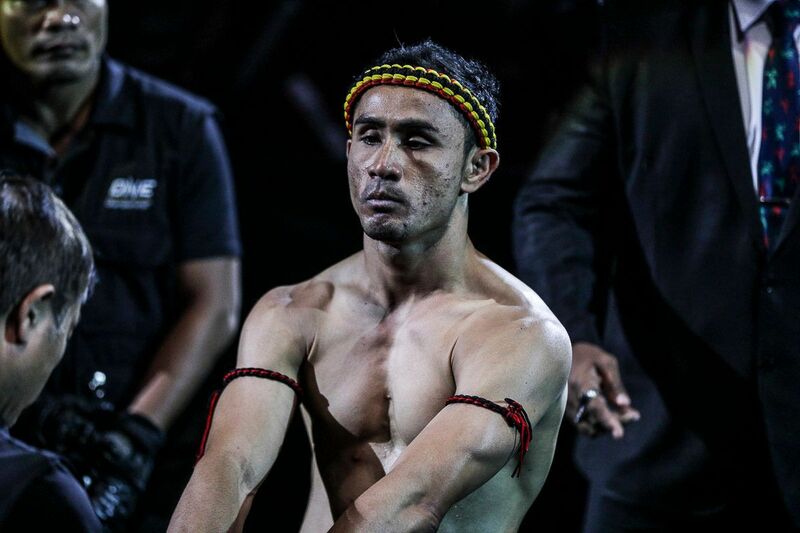 Folayang started to move forward with his trademark, lightning-quick combinations as soon as the second round began. 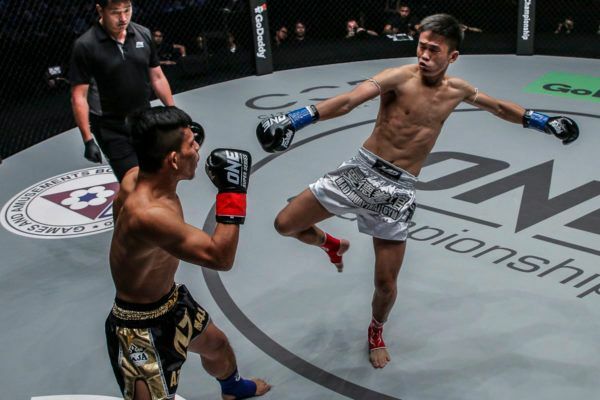 As time ticked away, he went after the 23-year-old Singaporean Muay Thai Champion with everything in his arsenal, including a series of spinning attacks from the clinch. Khan attempted to retaliate with a flying knee late in the stanza, but “Landslide” caught him mid-air and slammed him back down to the ground. In the waning seconds of round two, the Filipino uncorked a spinning back fist, which blasted Khan. When the bell rang to end the frame, it was clear the former titleholder was starting to settle into a rhythm. 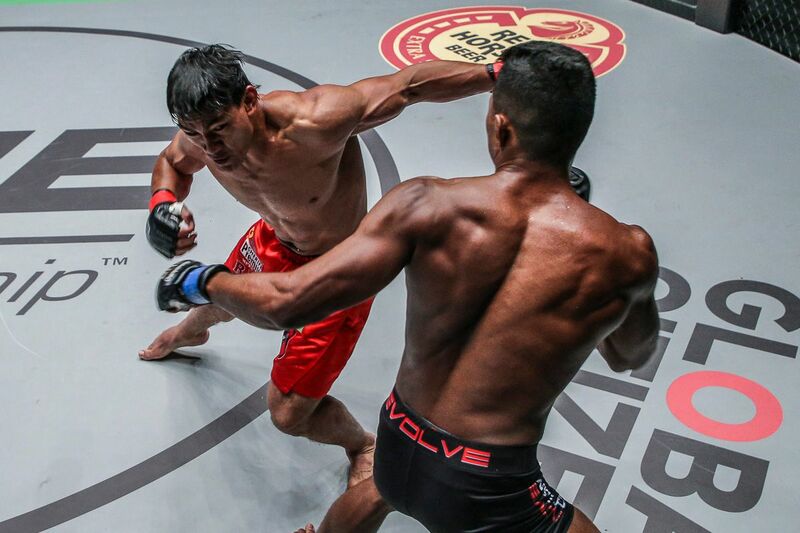 Folayang continued to win the exchanges in the third round, while Khan attempted to figure out how he could mount a comeback against the Filipino legend. 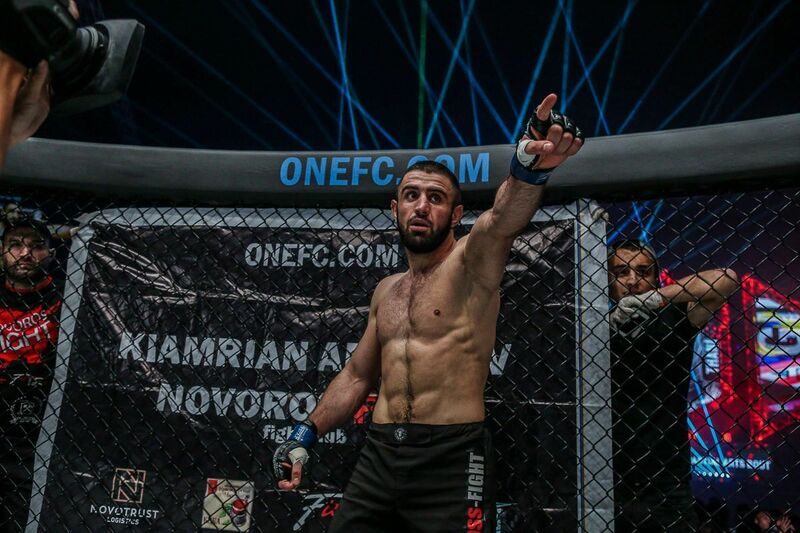 The Evolve representative relied on his boxing as he tried to increase his offensive output, but his 35-year-old opponent threw everything in his repertoire at him during their exchanges on the feet. 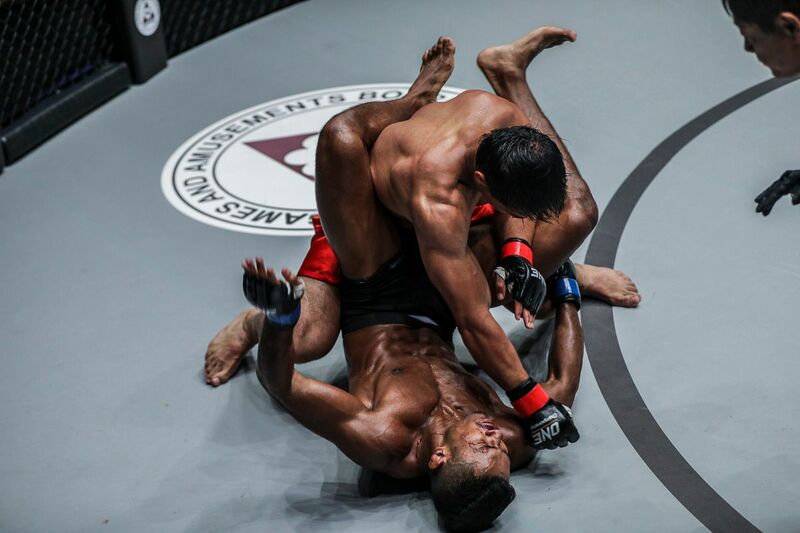 The Singaporean appeared to have altered his game plan in the fourth stanza, as he went for a series of takedowns. But Folayang was wise to maintain his strategy and keep the action standing. Although the two continued to engage in a clinch battle, “Landslide” still cleverly got the best of the young lion, as he used dirty boxing and connected a series of knees to the body before resetting in the center of the cage. With each passing minute, the Baguio City warrior became more and more comfortable unloading his combinations. He unleashed more spinning attacks and blistering kicks from the outside, while Khan was stuck trying to predict what would come at him next. 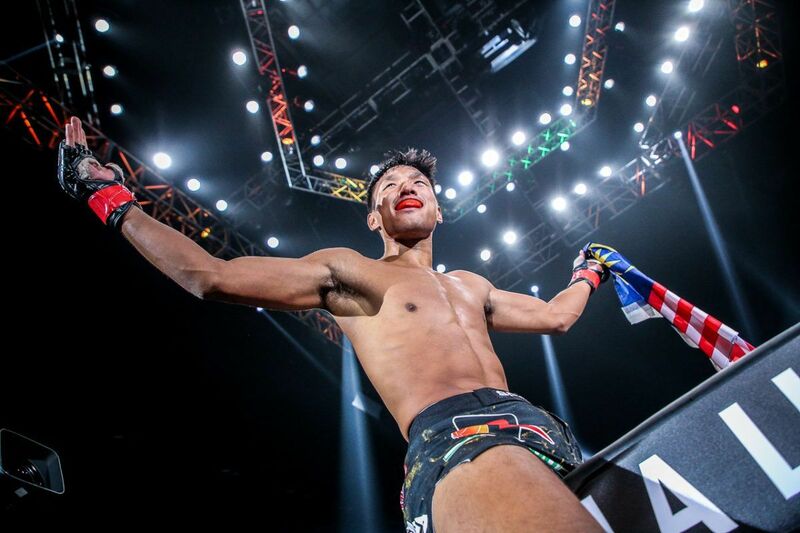 In the fifth and final round, the Team Lakay icon maintained his offensive output and showed off some new tricks in his arsenal, including a series of elbows in the clinch against the cage. Folayang stayed in control by maintaining his distance and uncorking high-volume combinations that ended with kicks. With just seconds remaining in the contest, Khan lunged forward with a final flurry in an attempt to pull off the upset, but the Filipino was not fazed. He returned fire, and once the bell rang to end the co-main event, he celebrated with the home crowd. In the end, the judges awarded Folayang the unanimous decision, which improved his record to 21-6 and made him a two-time ONE Lightweight World Champion. His success also made him the fourth Team Lakay athlete – and fifth Filipino – to currently hold a ONE World Title. It has been a perfect year for “Landslide,” which sets up some incredible opportunities in 2019. A rematch with top contender Shinya “Tobikan Judan” Aoki in Japan next March could be on the cards, as well as several marquee match-ups in the upcoming ONE Lightweight World Grand Prix.